Each week, McNally Robinson Saskatoon publishes the ‘top ten’ list of books sold through their Saskatoon bookstore. I have no idea how influential this list is, but like most top ten lists, it has a certain public appeal. Published in the Saskatoon Star Phoenix in the Weekend section, it’s a list that I read every week, just to see what’s new, what’s hot, and what’s sustaining interest. Imagine my shock and, frankly, glee when my new book, Forest Prairie Edge: Place History in Saskatchewan landed at number one on this week’s chart! As an aside: my teenagers were wildly impressed that I beat The Fault in Our Stars, by the latest popular author writing teen fiction. I also topped Dan Brown and Maeve Binchy, which stopped my breath. Nonetheless, I have to think that being on the top of that list makes a statement. It is a statement about the power of friends, family, and colleagues, who came to my book launch and bought signed books. My thanks to each of you. It is also a statement to the support given by McNally Robinson to local and regional authors. They host book signings, invest in advertising, and draw people in to their store. Their team is upbeat and busy, and all local authors (including me) give them a warm and sustained round of applause. Of the top ten books on that list, five are Saskatchewan authors! Kudos and congratulations to Regine Haensel, Trevor Herriot, Mary-Ann Kirkby, and dee Hobsbawn-Smith. Finally, putting a Saskatchewan history book at the top of the McNally Robinson list speaks to the power and reach of local and regional history. Saskatchewan stories are our shared history. My book draws on many Saskatchewan stories that don’t usually make it into Saskatchewan prairie history books. 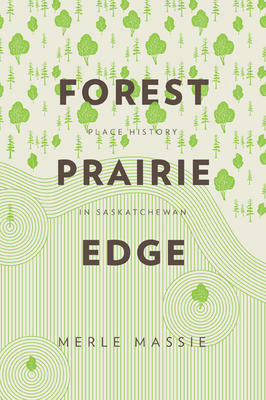 Set in the forest fringe of the province at Prince Albert, my book looks at the way the two halves of the province (forest and prairie) work together. It breaks open the ‘prairie’ narrative we’ve come to expect of Saskatchewan, and turns it on its head. It tells story after story from the forest — changing, I hope for good, the way my readers think about Saskatchewan. This book explains how I can be from Saskatchewan, but not from the prairie. If you pick up a copy, let me know what you think.